But you can get all the benefits for this low price. Simply listen to the Increase Metabolism Hypnosis MP3 every night as you go to bed for three weeks and feel the changes happening in your life. You will feel more empowered, more in touch with your true self, and you will truly know that your goals are within your reach. It’s easier than you think! You’ll see a new you and you’ll feel great about it!!! All you have to do is listen to the Increase Metabolism Hypnosis MP3 session at night as you go to sleep!!! You’ll hear soft music, the gentle sounds of the beach, and the soothing sound of Steve G. Jones’ voice all working together to bring about positive changes in your life easily and naturally. As you sit back, you notice how relaxed your body feels. However, you begin to think about what is going on in your body as you sit there, completely relaxed. Even now your body is working. Cells are reproducing and repairing themselves; your heart is pumping blood throughout your body. You are constantly breathing in and out. All of your organs are working at doing their jobs. You realize that you can make minor changes to your lifestyle and expend more calories even as you sleep. You focus your energy into changing three aspects of your lifestyle. The first one is the food you consume. You eat 5 small meals a day. The first meal is the biggest and they get smaller as the day wears on. You always eat in moderation and you never eat more than one serving at a time. The food you consume is balanced. You need protein, carbohydrates, and fats. You know to eat the lean proteins like poultry and beans. You stay away from simple and sugary carbohydrates and eat whole grains. You only consume good fats such as olive oil and omega-3 fatty acids. You eat all the fruits and vegetable you want. They are all packed with nutrients. You allow yourself up to one serving of bad food per day. You do not feel the need to eat any more. You realize you get much more satisfaction from raising your metabolism than you ever did eating bad foods. You are cautious when you go out to eat. You pick the healthiest option and take home a good portion of the food to eat at a later time. The second thing you do to change your lifestyle in order to raise your metabolism is strength train. You know that muscle burns a lot more calories than fat. You use free weights and you resistance train with your own body weight to build lean muscle. This will raise your metabolism and help you burn more calories throughout the day. It takes you a little while to see results. You pay no attention to the number on the scale, because you know that muscle weighs more than fat. More muscle will help you months and years down the road to burn more calories. You enjoy resistance training because it makes your body firmer and healthier. You like that your clothes are looser on you. You make one more change to your lifestyle and that is to be more active. Whether you are walking the dog more or parking further away in parking lots, you make it a goal of yours to take 10,000 steps per day. You take the stairs wherever possible instead of the elevator or escalator. You enjoy cardio activity like walking or running because it raises your metabolism. Being more active gives you more energy throughout the day. Now picture yourself six months from now after you have made all of these changes. You are eating all the right foods and also splurging on certain foods every now and again because you deserve it. You never binge on food and you always eat in moderation. This new way of eating makes you proud of yourself because now you feel like you can accomplish anything. You enjoy putting healthy foods in your body. And you have noticed a change in your body by eating 5 times a day. You aren’t as hungry throughout the day and you have realized how easy it is to control the food you put in your body. Compared to six months ago, you have seen a major change in your body. You are so much more active than you used to be and you know this has had a major effect on your body. Your body feels firmer, you look better in your clothes and you have gained so much more confidence. You have a more positive attitude and you exude energy. You feel that you can accomplish anything you set your mind to and you are ready to take on the world. Your metabolism is your body’s rate that it burns calories. Fortunately there are many things that can influence your metabolism. As you age, your metabolism begins to slow down. Most people see a steady decline after the age of 40. Hormones have a major impact on how efficiently your body burns calories. Also, your body’s metabolism increases the more muscle you have. The good news is that you can reverse your metabolism with hypnotherapy. The Increase Metabolism Hypnosis MP3 recording with target your subconscious mind to increase the rate at which you burn calories. That’s right! You can reverse and actually speed up your metabolism. Your energy and activity level plays a major role on your metabolism. 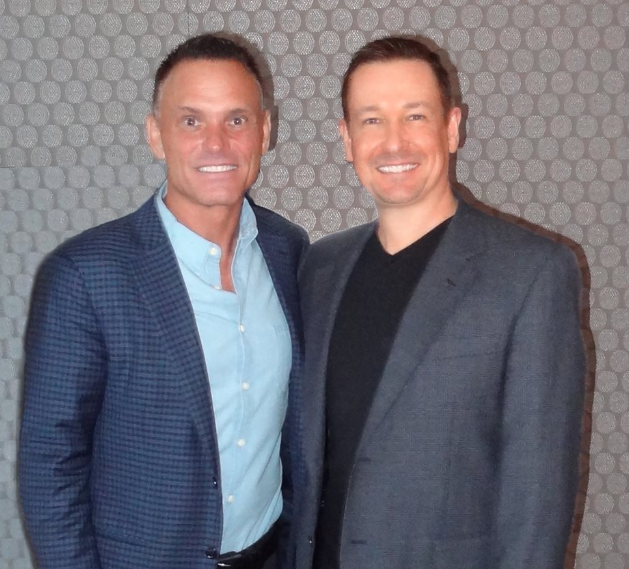 This hypnotherapy session will program you to have more energy throughout your day. The more active you are, the more your metabolism will naturally increase. Hypnosis will give you the energy that you NEED! The Increase Metabolism Hypnosis MP3 download will also program you to change your eating habits. It will program you to eat the correct number of calories and it will teach you to stop eating when you are full. The hypnosis session will also give you the motivation you need to stay active in order to boost your metabolism. Eating and exercise have a major impact on your metabolism. 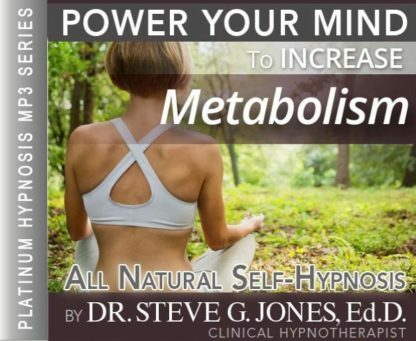 This powerful hypnosis program will program your subconscious mind to take control of your eating and exercise habits and make positive changes in your life to BOOST your metabolism! Eating small frequent meals has been proven to boost your metabolism. This program will encourage you to plan many small and healthy meals throughout your day. Physical activity is so important to your health and your metabolism. Steve G. Jones’s Increase Metabolism self-hypnosis session will give you the energy YOU need to ramp up your workout routine and give your metabolism a boost. You will be amazed at the results! You will allow yourself to listen to this recording for 21 nights in a row. It takes three weeks to form a habit and to increase your metabolism. As you move farthur along in the program, you will begin to see changes in your lifestyle and you will notice that your metabolism is increasing day by day. To continue to boost your metabolism, you can listen to this recording on a weekly or monthly basis after the initial 21 night program. You will see lasting results!